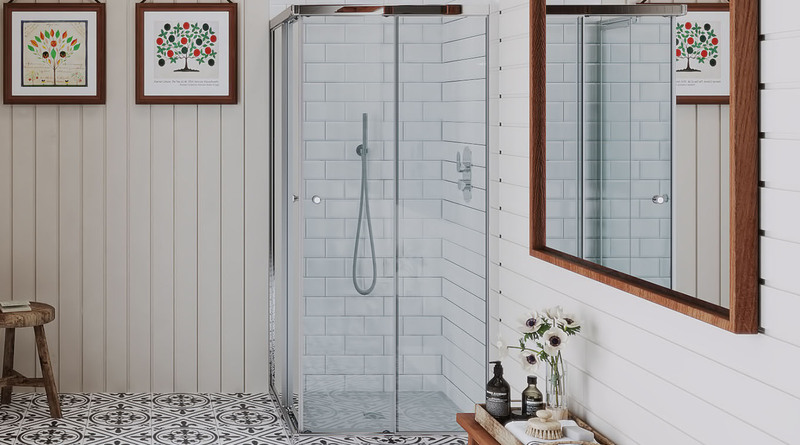 The Shower Unit we have selected is robust and practical – designed to allow any practical space of your choosing in your home to become a shower room, we selected a style that compliments the Wimbledon Bathroom Style. 1x shower unit with dual opening doors to allow maximum entrance and easy clean and toughened safety glass this is complimented by a shower tray with a chrome waste. If you have any questions, please do not hesitate to contact us via our Live Chat, Email or Phone, we are only to happy to help you. 900mm square low profile shower tray and waste, 900mm hinged door and side panel enclosure, shower valve with diverter, wall mounted shower arm and square shower head and riser rail kit.